UK: JDR Cables will supply and connect some of the inter-array cables at Ørsted's Hornsea Project Two, which is being built off the Yorkshire coast in the north-east of the country. The UK-based company will supply 100km of 66kV cables for the project, adding to the 300km to be provided by Italian cable manufacturer Prysmian. 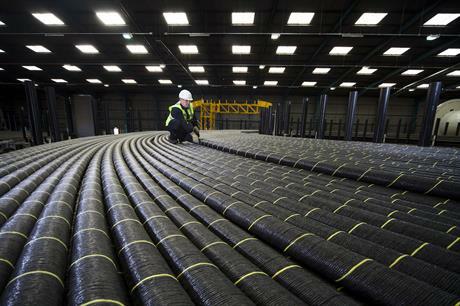 JDR will assemble all of the cables at its facility in the coastal town of Hartlepool, while Prysmian is manufacturing its share of the inter-array cables, also 66kV, at its factory in Wrexham, Wales. It will be the first time Ørsted, which also developed UK offshore projects including the 573MW Race Bank, and 210MW Westermost Rough sites, has used 66kV array cables in UK waters. Using cables with a higher voltage helps to reduce electrical losses during transmission, JDR Cables explaned. Hornsea Project Two will comprise 165 units of Siemens Gamesa’s SG 8.0-167 DD model for a combined capacity of 1,386MW. It is due online in 2022. Ørsted had secured a support deal worth £57.50/MWh (€64.10/MWh) for the site in the UK’s second auction round in September 2017.